Model MB8939-1W Price Match Guarantee!! Size 6" Wide x 14" High. This item has Antique Bronze finish. It is 6" Wide x 14" High with 1 lights. Antique Bronze is a few shades darker than Antique Brass. 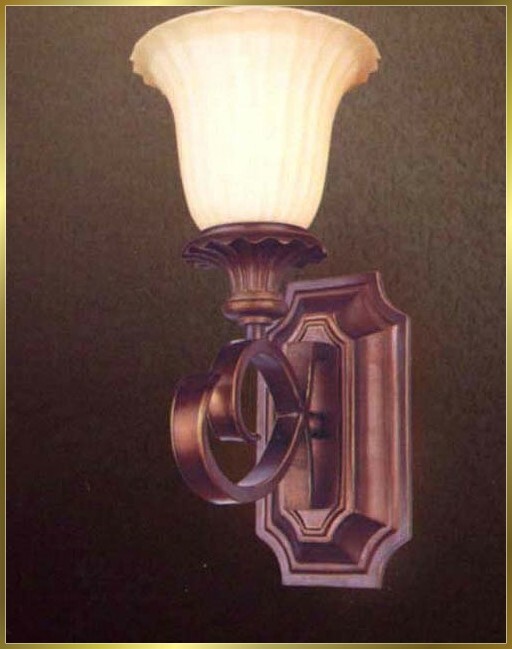 It comes across as a dark brown finish, with some lighter highlights to showcase the detail within the frame of the fixture. This is a wonderful finish for motifs with darker shades of color, creating a classical rustic feel.